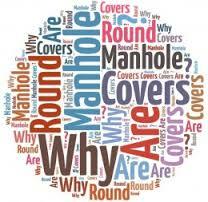 Why are manholes covers round? Is one of the questions asked to the wannabe Googlers. Google wants to assess creativity and problem-solving. In other words, Google is looking for a quick answer that proves not only the candidate is agile, but logical, adaptable and math-minded. But what these “trick” questions can’t highlight is a quality that Pappalardo sees as not only more human, but more vital to the majority of careers–positions where customer or client interaction is essential. That quality is integrity. How can you measure integrity when interviewing a candidate? Below are examples of questions to ask. If you choose to ask that question and are unsure of the answer, here it is: Manhole Covers are round so they can’t fall down the manhole. That simple. How important is integrity in your workplace? What can you do to make a difference? As an employer, do you encourage and model integrity? How do you do that? Leave a comment below! « What To Do When You Don’t Have the Canadian Experience?